Are you looking for New employment opportunities in the Indian Railways? Then, you are at right place to know the latest RRB Notification, RRB Job updates. The various notifications offered by the Railway Recruitment Board are RRB NTPC, RRB JE, and SSE jobs, etc. We are here to provide all the latest & upcoming Updates of RRB for the Job Seekers those who have been preparing for the Railway Jobs. Indian Government owned the entire network of Indian Railways. So, the Indian railway is divided into different zones. Check RRB Zone wise vacancies in the below section. In addition to the RRB recruitment, we also update the RRB Syllabus, RRB Previous Papers, RRB Admit Card, RRB Exam Dates, RRB Results, etc., Check the Latest Jobs in Railway here and apply through Online or Offline Mode before the Last date. Aspirants who are searching for the Central Government Jobs have to start preparation immediately because the Railway Recruitment is going to announce the RRB ALP Notification with huge no. of vacancies. As the Railway Jobs comes under Central Government, every Indian wants to be placed in Indian Railways to get settled in their future. So, the Competition is very high for these RRB Jobs. Once the Notification announced by the Railway Recruitment Board, enormous no of people try to apply for these Vacancies. 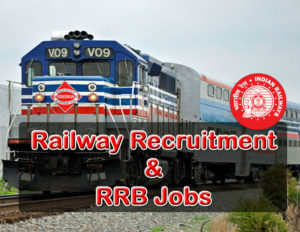 The RRB offers a high salary for the selected candidates. So, don’t waste your time by searching for more Number of sites about RRB Recruitment. We provide all the Latest info here related to the RRB Upcoming Job Updates such as RRB application process, Exam Fee, etc. RRB known as Railway Recruitment Board. It was Established in 1942. Indian Railways are the largest organization. Official Website of RRB is www.indianrailways.gov.in Every Person dreamed about to get a job in RRB. Railway Recruitment Board divided into 21 zones ie., RRB Trivandrum, RRB Siliguri, RRB Secunderabad, RRB Ranchi, RRB Patna, RRB Muzaffarpur, RRB Mumbai, RRB Malda, RRB Kolkata, RRB Jammu, RRB Gorakhpur, RRB Guwahati, RRB Chennai, RRB Chandigarh , RRB Bilaspur, RRB Bhubaneswar, RRB Bhopal, RRB Bangalore, RRB Allahabad, RRB Ajmer, RRB Ahmadabad. The RRB Assistant Loco Pilot jobs are trending news nowadays. All job seekers are eagerly waiting for Railways ALP Recruitment notification. The Railway Recruitment Board released the Asst Loco Pilot & Technician Grade 3 jobs 2018 very soon. We provide the latest updates regarding the Indian Railway jobs here region wise. You can get complete details about the RRB ALP jobs like Syllabus, Previous papers, Answer key, Admit card, cut off marks, Results, etc on this page. RRB hire candidates for RRB NTPC Non-Technical Posts. Railway Recruitment Non-Technical Posts have Commercial Apprentice, Goods Guard, Traffic Apprentice, and Assistant, Clerks and other Jobs. Check the RRB NTPC Syllabus, RRB NTPC Previous Papers and other complete details here. Railway Recruitment Board releases the SSE Notification soon in 2019-2020. Here we have given the full details regarding the RRB Recruitment SSE, RRB SSE Syllabus, and other. Check the following details and get jobs in Railways. Indian Railways issue a Notification to fill the Jr Engineer Posts with suitable Graduates. Here we have given the Complete details regarding the RRB JE Recruitment details. Check the below details and Apply for the Junior Engineer Jobs in Railways. Here are the Latest Employment News updates of RRB RRC Group D. Check the RRC Group D Official Notification for more information. The RRC Gr D Salary details, Application Fee and Online Application Submission dates and guidelines explained in detail.